an Argentine grill to warm up seattle’s winter nights. 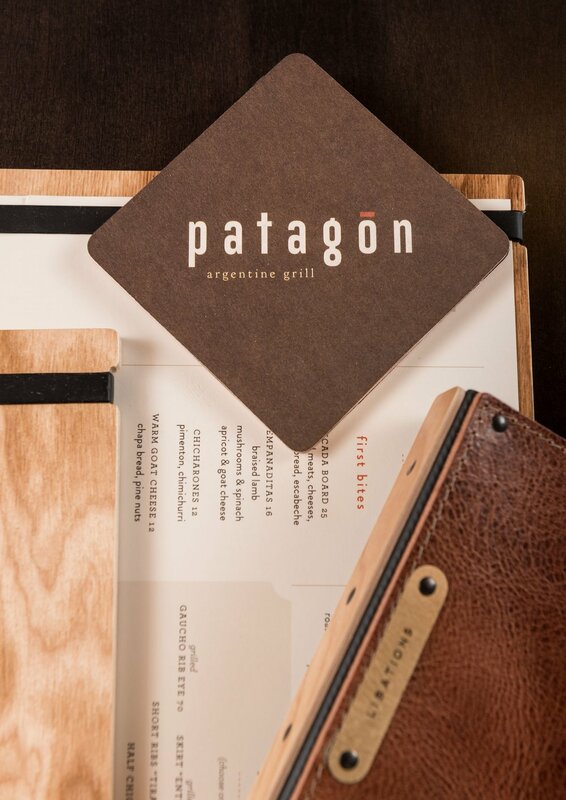 Patagon mixes modern design with traditional Argentine cuisine, bringing a warmth and sophistication to downtown Seattle. 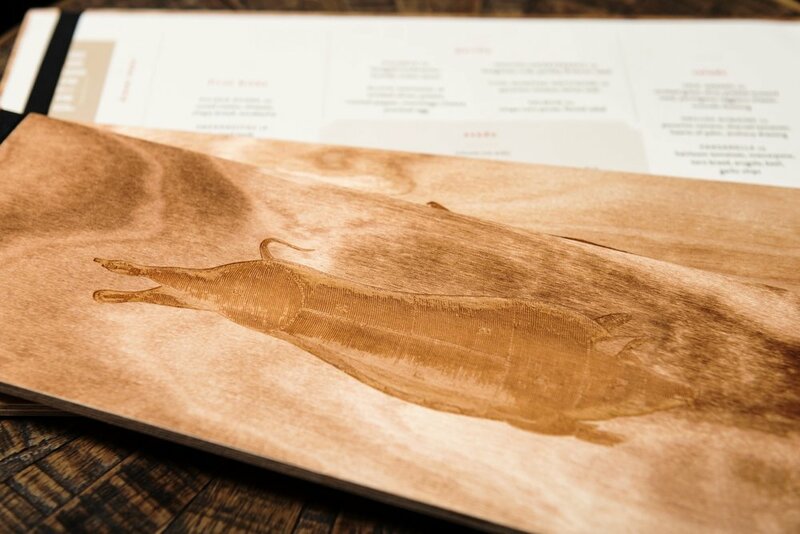 The colors combine with imagery to bring forward the menu and food concept with elegance. The addition of a yin yang fish and pig mark reinforce the food concept as fresh, locally sourced grilled meat, fish and vegetables.